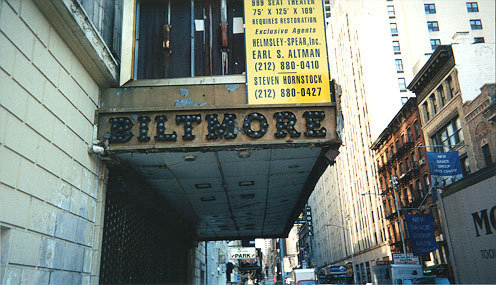 NOTE: These photos represent the condition of the Biltmore in 1999 and early 2000. In June of 2000 the Jack Parker Corp., which had bought the Biltmore as well as the properties to the west of it, began a project that includes renovating the Biltmore back to its former state. 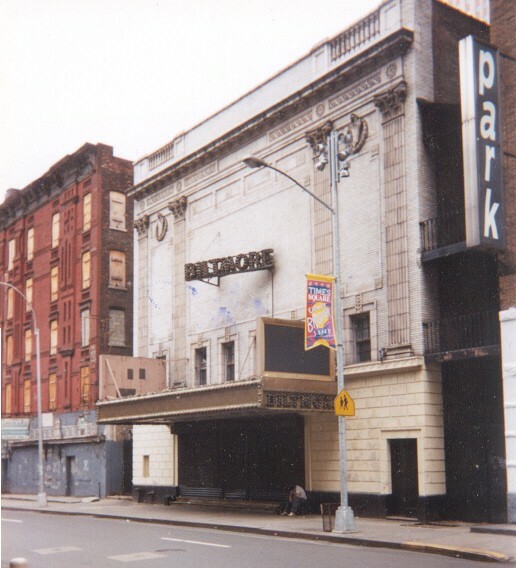 By Summer of 2001 it was being renovated to be the new home of the Manhattan Theater Club, and the red brick buildings west of the Biltmore (visible in the first photo below) had been torn completely down, eliminating forever, the original stage door alley of the Biltmore. To see more photos of the current renovation click here. Looking East along West 47th Street from 8th Avenue. and Jesus Christ Superstar playing a couple of blocks uptown at the Mark Hellinger Theater. The interior, after vandals and fire. 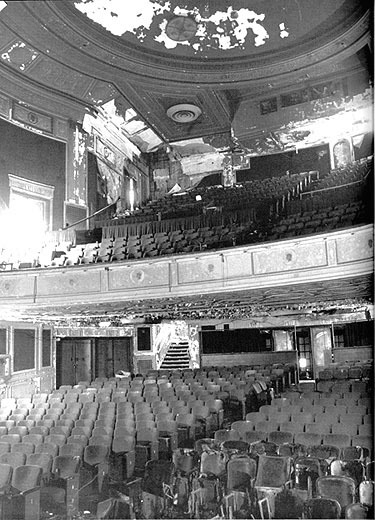 Bottom photograph copyright Nicholas van Hoogstraten, from his book Lost Broadway Theaters. Back to Hair Photo Index -click here.